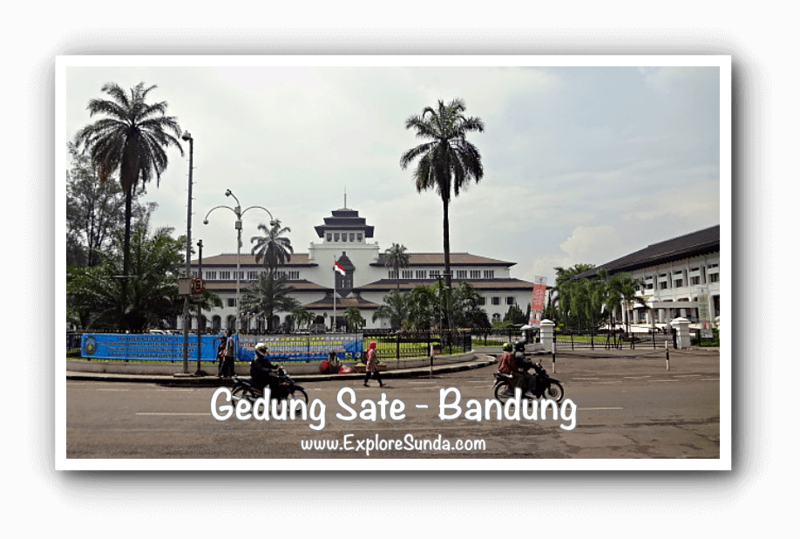 Bandung is the capital city of West Java province. It is the third largest city in Indonesia after Jakarta and Surabaya. It is also the center of Sundanese culture. Geographically, this city is approximately 700 meters above sea levels and surrounded by mountains. Therefore, it is known as Bandung basin. The weather is cooler than the coastal cities such as Jakarta or Surabaya and cool winds always blow at night. During Dutch colonization, the Dutch planned to move the capital city of Indonesia from Jakarta (the name was Batavia back then) to this city. Hence, in the beginning this city was developed similar to European cities. It was known as Parijs Van Java (Paris from Java) as well as Flower City. It has grown tremendously since then. Many new and modern malls, office buildings, houses, stores, and factories are built, but we still can see some old and historic buildings as they are. 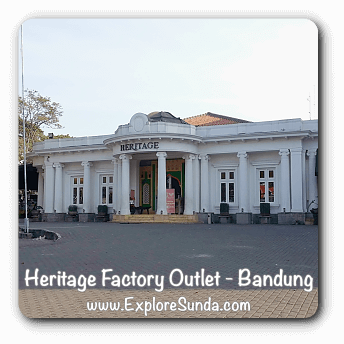 The term factory outlet was started in Bandung, then spread to other cities. Often we find great clothes, bags and apparels with bargained price, sometimes they are branded items too. But if you prefer shopping the branded items without worrying for any defect, spend some time in the shopping malls. Then again, if you don’t mind jostled in a market, such as Pasar Baru, you can find good quality clothes with wholesale price. 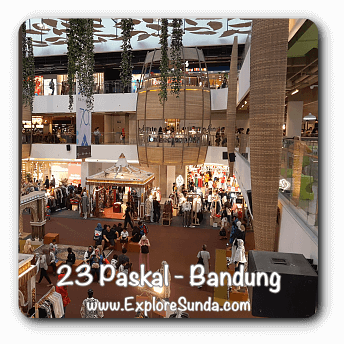 For some people, shopping for souvenirs is a must when you go traveling, if you are one of them, we have a list of recommended souvenirs typical Sunda as well as the souvenir shops. Batik is becoming more popular when UNESCO put batik from Indonesia in its Representative List of the Intangible Cultural Heritage of Humanity in 2009. Not long ago, only elderly wear batik, but nowadays, it is common to see people of all ages wear batik. More and more people wear batik in formal events. Don't be surprised if you see so many people wear batik on Fridays, it seems batik has become an informal dress code for Fridays. Although every batik looks similar, in reality each region has its own special pattern and colors. Thus, many batik shops in Bandung carry Sundanese batik. Another perk is some batik shops offer batik workshops, where you can have a hands-on experience in making batik. 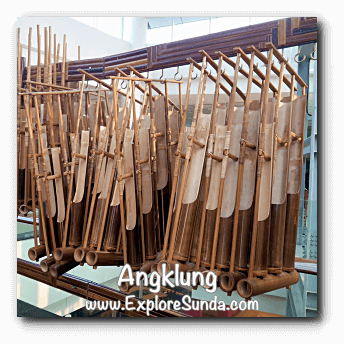 Angklung is the Sundanese traditional musical instrument made of bamboo. It has been included in UNESCO Representative List of Intangible Cultural Heritage of Humanity since 2010. The most recommended place to watch people perform angklung in an assemble, learn how to play it and buy it is at Saung Angklung Mang Udjo Ngalagena (Mr. Udjo Ngalagena House of Angklung). 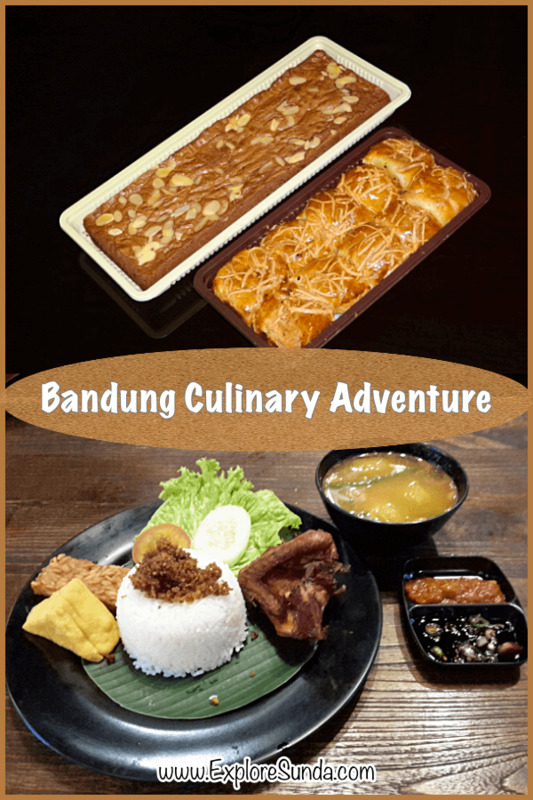 Besides being a shopping paradise, Bandung is famous of its creative foods, both the old fashioned and new creative ways. Thus, many people come solely for having a culinary adventure. In my opinion, this is one of the best museums in Indonesia. They have enormous collection of fossils, where we can meet a T-Rex! The Asian African Conference a.k.a Bandung Conference was a big event during the cold war era. Hence, this museum is more like a memorial of the event, where it used the same place where the conference took place in 1955. It is located in down town, so it is easily accessible. 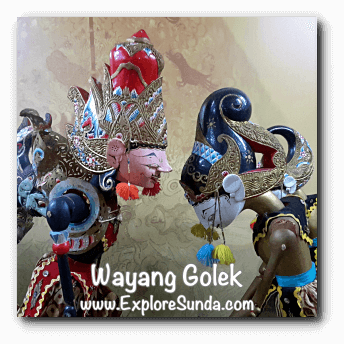 This museum has various collections of art, historical and cultural objects found in West Java. Hence, this is a good place to know Sundanese culture better. 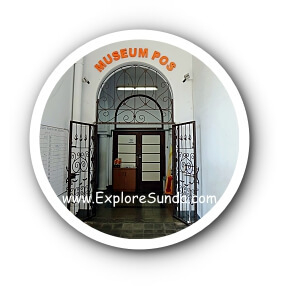 Bandung also has smaller more thematic museums, such as Mandala Wangsit Siliwangi, Virajati Seskoad, Barli and Indonesia Postal Museum. Jalan Braga is the first shopping arcade in Bandung. During its golden days people came here days and nights for shopping, dining and watching movies in the only cinema in the city. Nowadays, many of the shops have been transformed into coffee shops and hotels, but the good thing is some of the buildings have been renovated to their old glories. Then the city also cleaned up the sidewalks with plenty of benches and decorated post lamps. Since the atmosphere of an old town with its classical buildings is very strong, whenever you come here, it feels like you lived in the old time. If you admire classical buildings, you should stroll from Asia Afrika street up to Asian-African Conference Museum, then turn right to jalan Braga. The best time to do it is on late afternoon, and ends the excursion by having dinner in one of restaurants in jalan Braga. 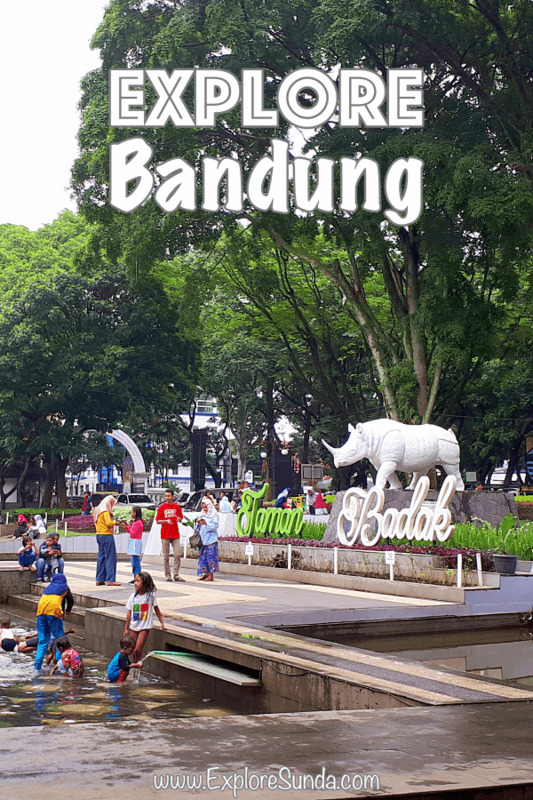 Bandung Tour on Bus or shortened as Bandros (the real Bandros is one of Sundanese traditional snacks) is a cute colorful bus that will take us sightseeing around the city. There are several routes we can choose and several bus stop we can hop on and off. For example, jalan Diponegoro right across Geology Museum, jalan Merdeka in City Hall, and jalan Asia-Afrika on City Square (known as Alun-Alun). Punclut has always been popular as a place where you can view the whole city of Bandung. Hence, one by one small restaurants were established here. Everyone of them are located on the slope with clear view of the city below. The latest one is Kawasan Wisata Punclut. Here we will find six restaurants in one parking lot. Each offers different menu, unique lay out for us to take selfies, and some even have children playgrounds. Tegalega park. Many people come here daily for some exercises such as jogging, bicycling, join tai-chi or aerobic groups. We usually hunt for breakfast afterwards, where various food stalls open since early morning. In addition, there are many street sellers offering various bags, wallets, shoes, fresh vegetables, spices and many more. 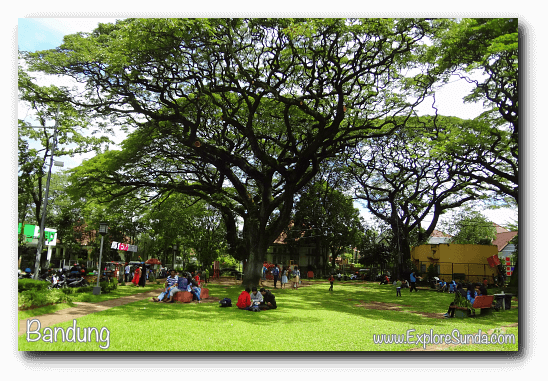 Gasibu is an area surrounding Gedung Sate (the provincial office), including the plaza across the street. People gather and do morning exercise on weekends. Plus, the streets are covered with all kind of stalls selling food and merchandises. So, either you join the crowd to exercise here or avoid the area completely, because the traffic is very bad on Saturday and Sunday morning. Punclut Ciumbuleuit and Hutan Raya Dago Pakar (Dago Pakar Forest). Both trails can lead you to Lembang. The difference is you walk on the asphalt road from Punclut to Lembang market while you walk through a dirt path in a pine forest from Dago Pakar until Maribaya falls in Lembang. 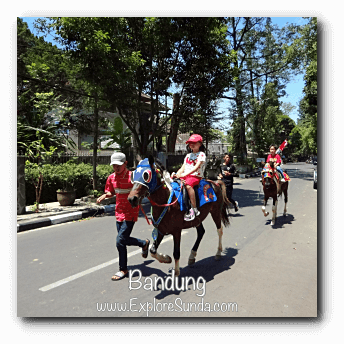 Horse or cart riding is a fun activity for family with young children. Every weekend there are many horses and decorated traditional carts called delman we can hire for a short ride around the block. We can find them in two places: in front of famous ITB on Ganesha street in Dago area and Cisangkuy street near Gedung Sate (the governor office of West Java province). 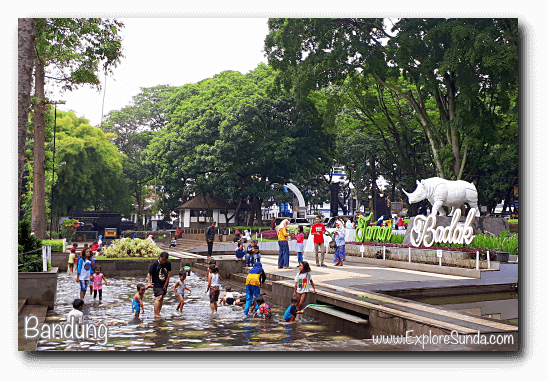 Going to the zoo is always a highlight for a family vacation :) The location of the zoo is on Taman Sari street, across ITB. You can ride an elephant there. Many people come for a picnic. It is crowded during big holiday such as Iedul Ied, school break and Sunday. Unfortunately, the zoo is not well maintained, resulted in bad smell all over the park. Thus, many people prefer to go to Taman Safari Indonesia (Safari Park) in Cisarua, Bogor. 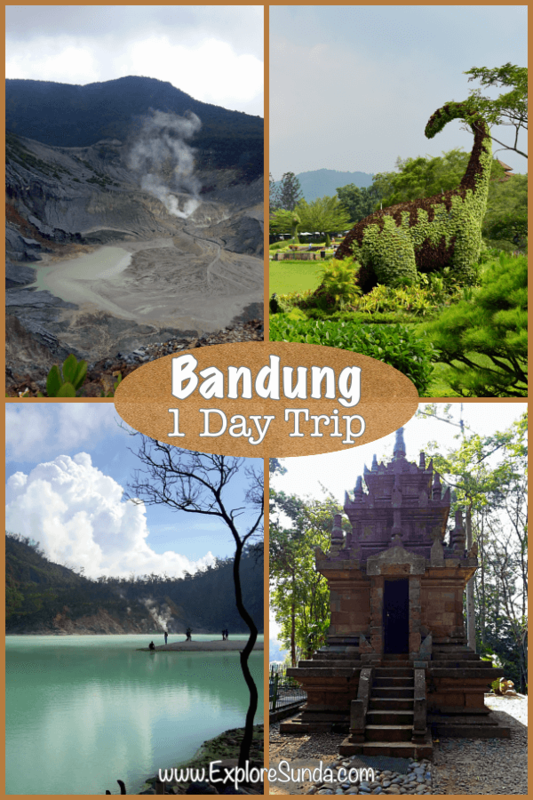 The towns surrounding Bandung also have plenty of attractions that will entertain the whole family. Most of them are outdoors. So, if you like outdoor activities, you should consider short trip to nearby towns such as Lembang, Ciwidey, Pangalengan, Cipanas, Garut, or Sumedang. The distance to each town is less than two hours drive during normal traffic. Find out your options here! 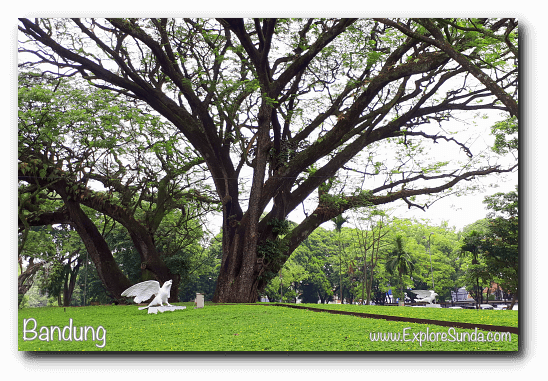 Bandung is a fun city for a vacation, but the land of Sunda has many more beautiful places to explore. What do you think of Pangandaran beach, Taman Mini Indonesia Indah, or Jakarta Aquarium?